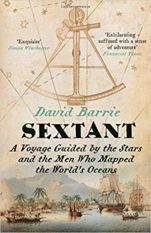 David Barrie’s Sextant is a beautifully written account of the art of celestial navigation and the vital part it played in the exploration and mapping of the world. It was published by HarperPress and William Morrow in 2014 to excellent reviews. Translations have also been published by Rizzoli in Italy and Mare in Germany. It was shortlisted for the Mountbatten Literary Prize. 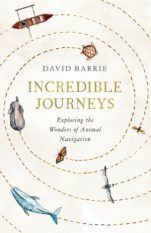 David’s latest book, Incredible Journeys: Exploring the Wonders of Animal Navigation will be published in April 2019 by Hodder and Stoughton in the UK and The Experiment in the US. A devotee of the work of John Ruskin, he edited an abridged version of his magnum opus Modern Painters that was published in 1987 by André Deutsch. After studying Psychology and Philosophy at Oxford University, David served in the Diplomatic Service for fifteen years. He was later Director of the National Art Collections Fund (now the Art Fund). David has also been active in the field of criminal justice reform as Chair of the campaigning organisation Make Justice Work. He was awarded a CBE in 2010. 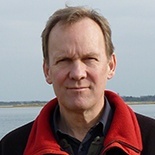 David is an experienced navigator and has made many long passages under sail. He is a Fellow of the Royal Institute of Navigation. He lives in London and Emsworth.